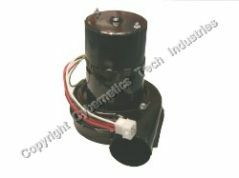 New ignition blower assembly for most ®Lincoln ovens. The ® symbol designates a registered trademark of the respective company. Although many of the parts on this page may be from the original manufactures, we do not represent the oven manufacture or its distributors.